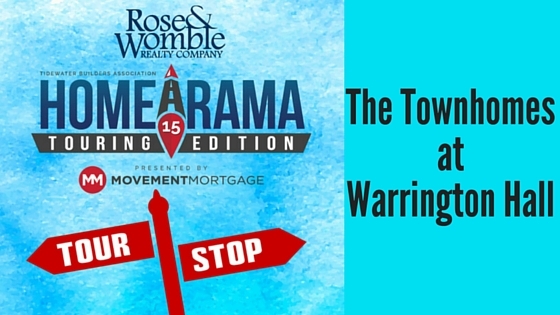 The Townhomes at Warrington Hall are another must-stop for the 2015 Tidewater Builders Association’s Homearama. Located just minutes from the popular Greenbrier section of Chesapeake, Warrington Hall is built by Corinth Residential and offers home buyers great features like granite counters and stainless steel appliances in the kitchen. Nine foot ceilings on both floors and all-brick exteriors give style and elegance to the home. The Essex is the model featured for Homearama and it has three bedrooms and two and half baths.